No dream is too big. In 1912, a trolley barn was built on Lalor St. in Trenton, New Jersey. At that time, horse-drawn carriages (or the alternative: walking) were still very much the norm, as automobiles were a fledgling concept to the world. In fact, the first carwash in the U.S. wouldn’t even be built until two years later in Detroit. Compared to these old-fashioned modes of transportation, riding trolleys around town was a cleaner and futuristic alternative. Today, such an idea might be difficult to imagine, but riding a trolley was an exciting experience, and that trolley barn, while not part of the experience itself, was important in housing these valuable streetcars. Fast forward 52 years to 1964. The trolley barn went out of service years ago with the trolley line itself, and cars have gone from being a spectacle to becoming increasingly omnipresent. But, this trolley barn would have some automotive life in it yet. However, instead of housing trolleys, it would house cars — for a short time, at least. 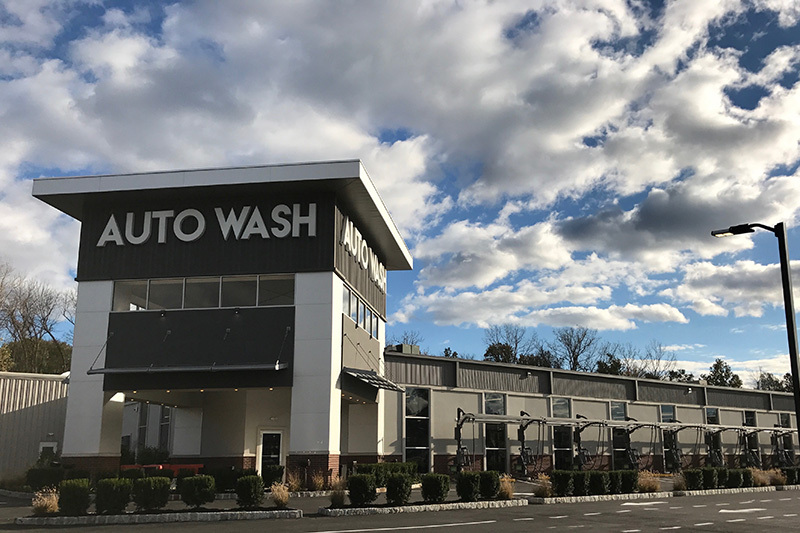 Enough for a full service wash.
Then, in 1992, Chris Vernon purchased the carwash in the old trolley barn and opened the first Auto Valet Car Wash (to be known some 24 years later as Valet Auto Wash). But, although the carwash started out literally rooted in a thing of the past, Vernon had ambitious dreams for the future. 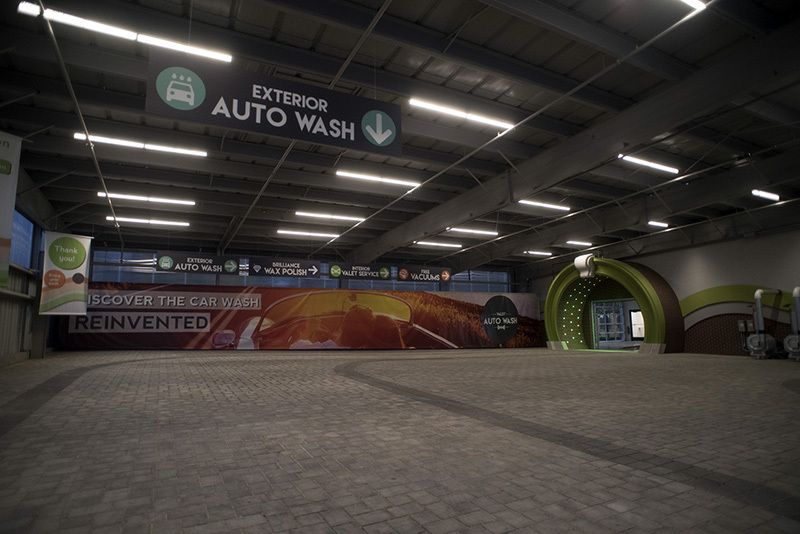 When Vernon opened Auto Valet Car Wash, he dreamed of one day operating the world’s largest, most technologically advanced carwash. 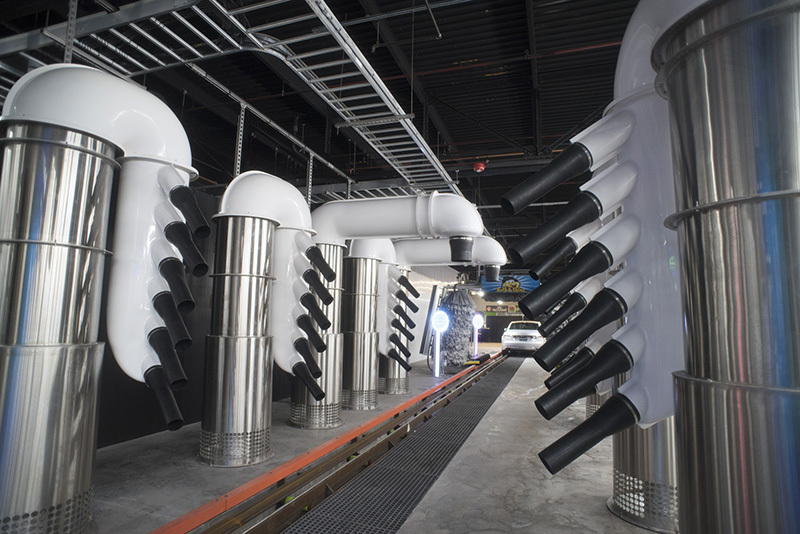 Of course, even the carwash he had purchased had one of the largest conveyors in the country at that time, according to Ray Cerwinski, wash imagineer for Valet Auto Wash. Still, it was another 10 years before Vernon decided to open a second location, and at that point, the two were enough for him, as there were other business interests that Vernon also wanted to pursue. Vernon wanted to expand the business, so Mercer Management, the company that helps manage the carwash’s business side (along with those of other companies in various fields), matched Cerwinski, who had a hospitality-based background for technology and equipment, with Vernon to bring those plans to fruition. As a result, Cerwinski became a carwasher “overnight,” as he says. Together, they set out to build the carwash with the longest tunnel in the world. 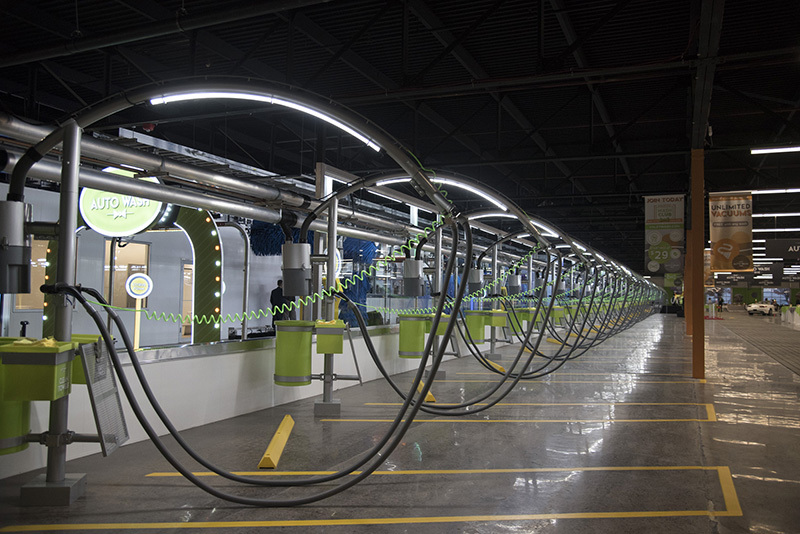 As such, it wasn’t long after the purchase of the third location that they unveiled what to this day they call the company’s “crown jewel”: a fully enclosed carwash in a 55,000-square-foot, revamped warehouse, complete with a 245-foot-long tunnel; 24 indoor self-serve vacuum stalls; an indoor polishing tunnel that, according to Cerwinski, was the third one in the country; and two flat-belt conveyors for interior services, which were also a new concept to the region, he says. “As far as we know, we’re one of the first people in the country to try to get all these things all under one roof; [this is] very European style,” Cerwinski notes. When “Wash No. 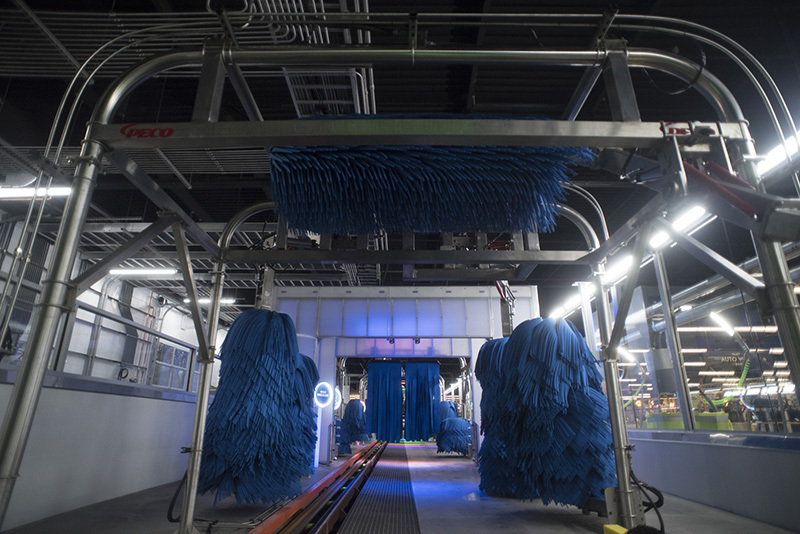 4,” now known as the Lawrenceville location, opened in 2016, it was reputedly the longest conveyor carwash in the world. While that record has since been broken, it does not diminish the awe that this enormous carwash location inspires. There’s no limit on dreaming big. If wanting to build the world’s longest carwash wasn’t enough, why not aim to become a destination carwash — for both customers and industry peers? The Lawrenceville location is certainly meant to impress, and it pulls out all the stops. “We have this carwash carnival thing going on, where, if you’re a first-timer, you pull up to a building that’s almost 350 feet long, and you just don’t know what’s going on inside there. It’s like a fun house,” Cerwinski explains. He goes on to describe how, once customers pop out the other end of the 245-foot-long tunnel and think that the experience is over, they find that there is so much more to do and see at the carwash, and they are blown away by the sheer number of options. “It’s like a never-ending experience,” Cerwinski adds. Having a “destination carwash” like this has even proved to be helpful in terms of marketing. Cerwinski notes that the company does not really do much in the way of traditional or even social media marketing. Rather, it relies primarily on word-of-mouth. 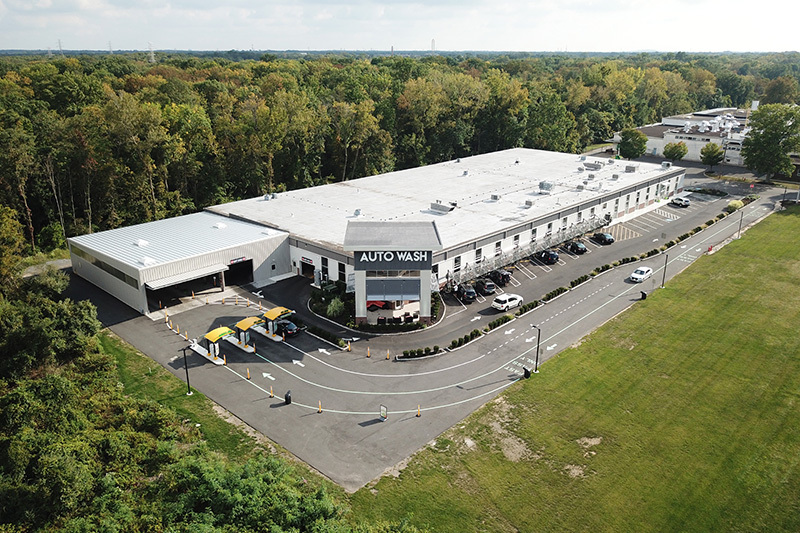 According to Cerwinski, being located on the border of New Jersey and Pennsylvania, the Lawrenceville carwash acts like a lure, drawing in customers who sometimes travel great lengths just to experience the brand. 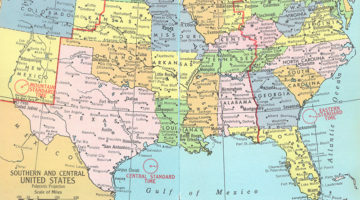 Once they do, however, many realize that there might be a location closer to their homes or workplaces, and they end up patronizing those washes as a result. The iconic Lawrenceville wash has not only built brand awareness among customers but also in the industry itself. 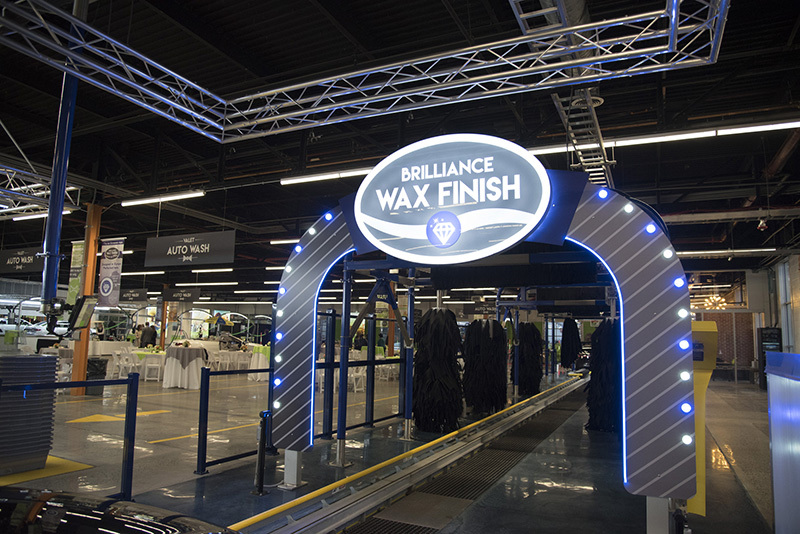 For instance, during the past two years, Valet Auto Wash has been part of a “Virtual Carwash Tour” put on by the Northeast Regional Carwash Convention (NRCC), which highlights a select few innovative carwashes from the country, predominantly in the region, to showcase. According to Cerwinski, it’s been exciting these last few years to receive such recognition and to have people call the company and want to visit, especially when the requests come from carwash chains 30 or 40 locations strong that they idolize. So, what’s the business mindset for Valet Auto Wash? 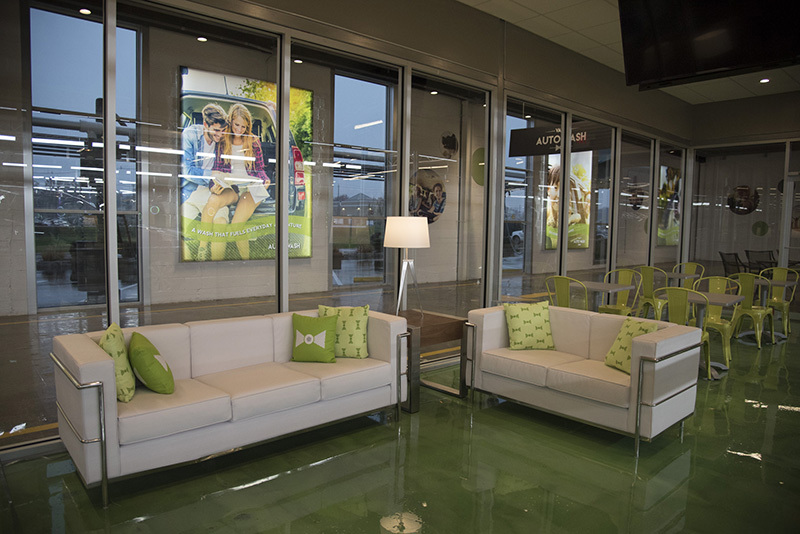 After completing the Lawrenceville location, Valet Auto Wash went on to build two other locations, making for an impressive jump from two to six sites in just two years. Furthermore, two of these sites have express lubes attached to them. 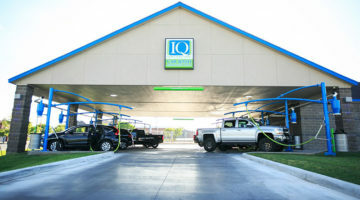 But, the company is keeping the momentum moving, and it currently has another two carwashes under development. 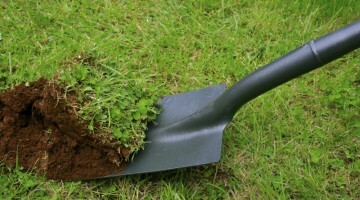 However, providing a new experience doesn’t mean just concentrating on the new sites. Cerwinski notes that just because they have been moving from one construction project to the next doesn’t mean they’re neglecting their previous washes. Rather, they’re taking the time to go back and double down on the existing sites to make sure they comply with the brand, its core values and its mission. Furthermore, despite Valet Auto Wash’s status as an express carwash chain, an integral part of its customer experience efforts revolves around the staff. “We’re a really big believer in our staff and that they’re our boots on the ground,” Cerwinski notes. Cerwinski says that the staff can make all the difference to a customer, and so the company makes sure that the very least its team members do is greet customers in person and on the phone with “smiles.” He adds that, as long as your team believes in what you’re trying to do as a company, having them out there and interacting with customers is one of the easiest ways to put customers at ease. 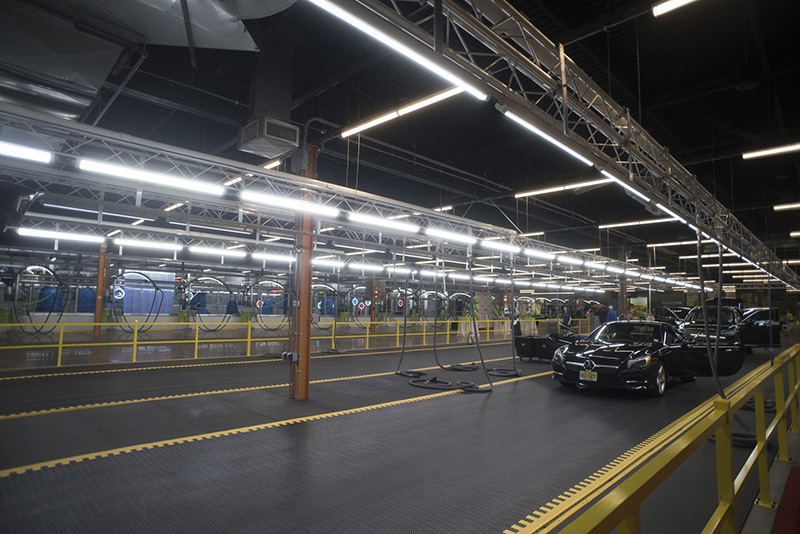 “Vehicles are big investments, so we want to make sure they’re treated right and that [customers are] getting a great value for their money, and value, again, doesn’t just stop at a clean car for us,” Cerwinski concludes.